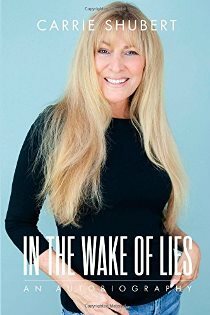 Carrie's NEW book "In The Wake Of Lies" is now available for purchase. In this inspiring autobiography, Carrie wields a startling degree of frankness and detail to reveal, relive and resolve the ties that bind her to her tumultuous past. To purchase, please click on the image to be taken to Amazon.com. 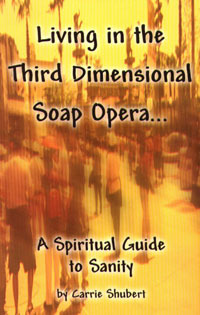 Carrie's book "Living in the Third Dimensional Soap Opera...A Spiritual Guide to Sanity combines spiritual, metaphysical, and psychological thoughts to give the reader a deeper perspective on life. This book offers simple concepts that are easy to apply to take the 'edge' off day-to-day living. To purchase, please click on the image to be taken to Amazon.com. 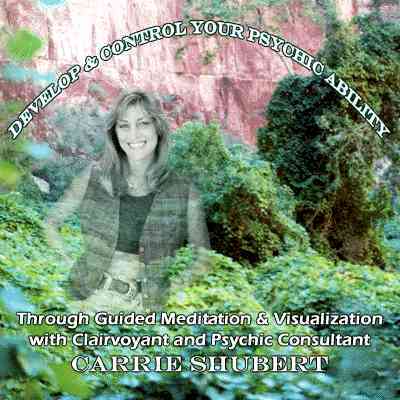 To purchase a copy of Carrie's CD, please contact Carrie directly.